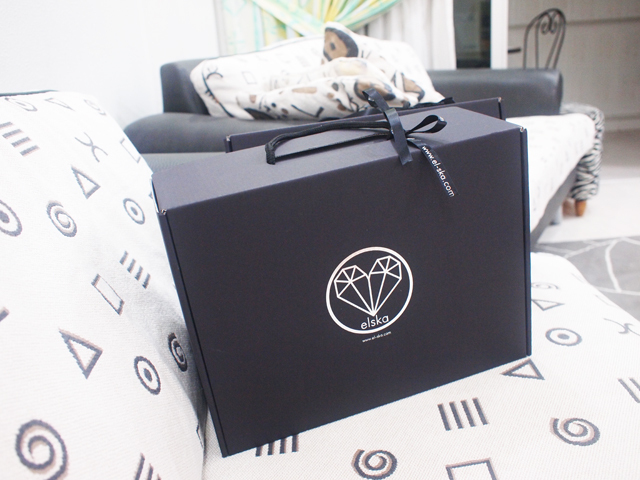 Lovely package from El-ska Online Shoe Boutique. What a nice shoe box! I chose this pair [Aztec Rush] because of the unique design. I sent the photo to some of my friends and they agreed it looks great too. I love shoes with zipper at the back. So much easier to wear, don't you all think so too? I was advised by the kind people at El-ska that the cutting for this particular pair is bigger than usual, so remember to get one size smaller if you are getting this one too! If you are unsure what size to order, you may also refer to the size guide on the product description. I just went to visit their Facebook Page (http://www.facebook.com/Elska.Singapore) and found out about some awesome promotions that are happening right now! By the way, remember to like them on FB to get the latest updates on amazing deals offered by Elska! A Hot Kicks contest is currently going on, where the lucky winner will win a pair of shoes from the upcoming collection and 3 others will receive Elska gift cards. There is also a storewide 20% off if you enter code: NYE20! Place your order before 31st December 2012 to get them in time for New Year! Elska is also giving one exclusive handmade leather cardholder for every purchase over S$100! Comes in gorgeous hues such as coral pink, dusty aqua, oxblood red and warm taupe! You can find out more information by heading to their FB page! As the heel is already patterned, I paired it with this simple two-piece dress from Earthdoll [Bukit Panjang Plaza #03-21]! Earthdoll stocks up on a wide variety of styles, priced at mostly $10-$15! :) If you live near the mall, do check them out! You look so classy esther!!!! Quit your cute little bow hair band and your wedges, and get on a pair of killer heels. Great job esther!